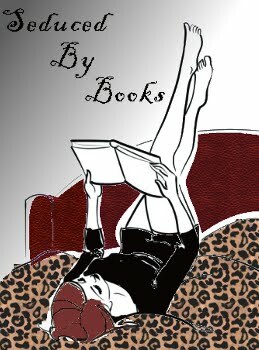 Seduced By Books: Parajunkee's Follow Friday - Hopefully we'll be picked soon! Parajunkee's Follow Friday - Hopefully we'll be picked soon! Every friday one of our blog friends that we follow features a new blog site - we are hoping to be featured soon. Follow Parajunkee and let her know you heard about the site here. 147 entries so far... you're next! Steampunkery &amp; Book Reviews - I&#39;M BRAND NEW! A Cozy Readers Corner - now on twitter! I"m 31 on that grand list. Stopping by for a cheery "hello"
Hopping through. I'm a new follower. Have a great weekend! HELLO! Just hopping in from the Follow Friday. Thanks for stopping by our blog. Love your blog title! I'll be following to see what you post next. Stopping by. Have a great weekend. Hey! Thanks for stopping by my blog:) I went through some of your posts for the past couple weeks and we definitely have similar tastes so I'm glad to be a new follower of yours and I look forward to reading more of your reviews. Have a great weekend!